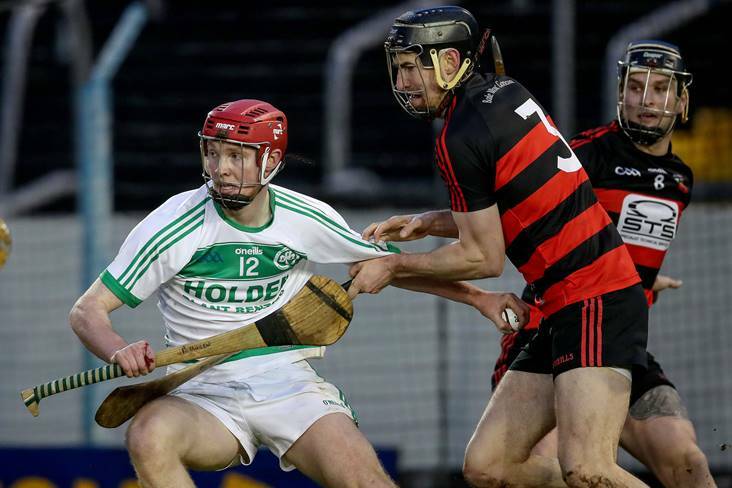 Ballyhale Shamrocks' Adrian Mullen is held by Barry Coughlan of Ballygunner. ©INPHO/Bryan Keane. 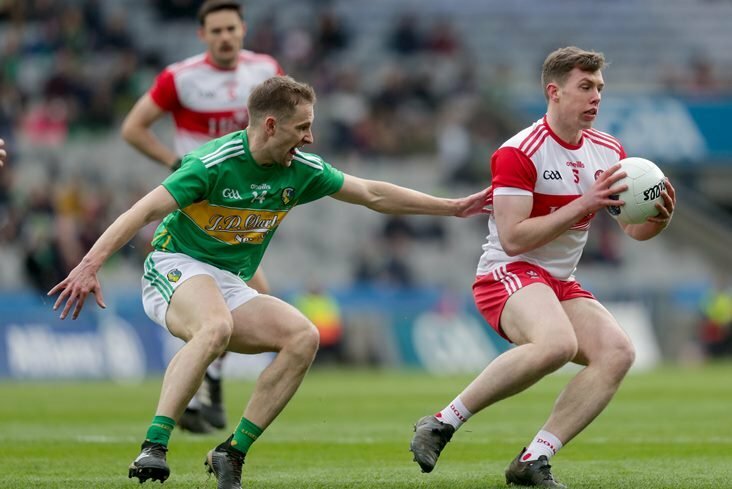 Ballyhale Shamrocks will take on St Thomas’ in this year’s All-Ireland Club SHC final after finishing with five points to spare over Ballygunner in today’s last four encounter at Semple Stadium. An individual return of 1-4 from Eoin Cody laid the foundations for Henry Shefflin’s side’s 1-15 to 0-13 success. Played in difficult conditions, a closely contested first-half finished with the Gunners ahead by the bare minimum – 0-8 to 0-7. 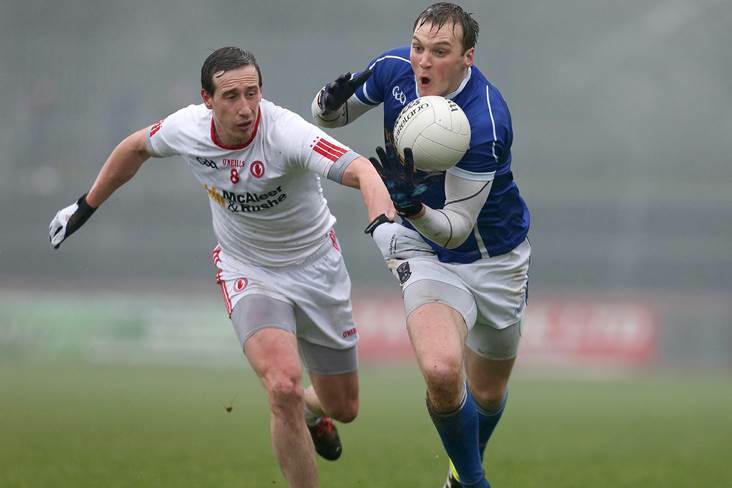 Pauric Mahony was responsible for all bar one of the Waterford side’s first-half tally but, by the three quarter-hour mark, it was advantage Ballyhale Shamrocks (1-10 to 0-10) thanks to Cody’s 44th minute goal. As you would expect, the Fergal Hartley managed Ballygunner didn’t go down with a fight in the final quarter but they were unable to find a way through a resolute Shamrocks defence. 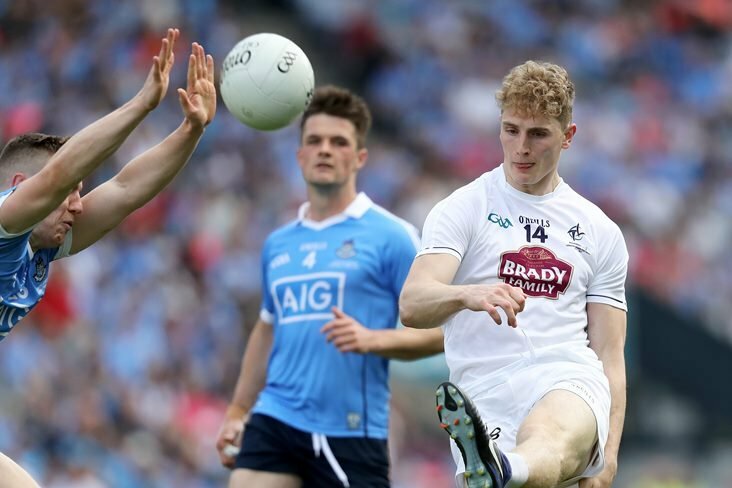 Meanwhile, at the opposite end of the field, Adrian Mullen and Cody sent over insurance points in stoppage time to seal eight a St Patrick’s Day final appearance for the team in white and green. The Kilkenny champions will be aiming to pick up their seventh All-Ireland title when they square up to St Thomas’ on March 17th. Ballyhale Shamrocks - D Mason; D Mullen, J Holden, B Butler; E Shefflin (0-1), M Fennelly, R Reid; R Corcoran, P Mullen (0-2); A Mullen (0-2), TJ Reid (0-4, 3f), B Cody; E Reid (0-2), C Fennelly, E Cody (1-4). Subs: C Phelan for B Butler, M Aylward for B Cody, C Walsh for C Phelan, J Cuddihy for E Reid, G Butler for R Corcoran. Ballygunner - S O’Keeffe; E Hayden, B Coughlan, I Kenny; W Hutchinson, Philip Mahony, H Barnes; B O’Keeffe, S O’Sullivan; P Hogan (0-1), Pauric Mahony (0-10, 7f, 1'65), M Mahony; C Power, T O’Sullivan, B O’Sullivan (0-2). Subs: D O’Sullivan for E Hayden, B O’Sullivan for T O’Sullivan, JJ Hutchinson for B O’Keeffe.